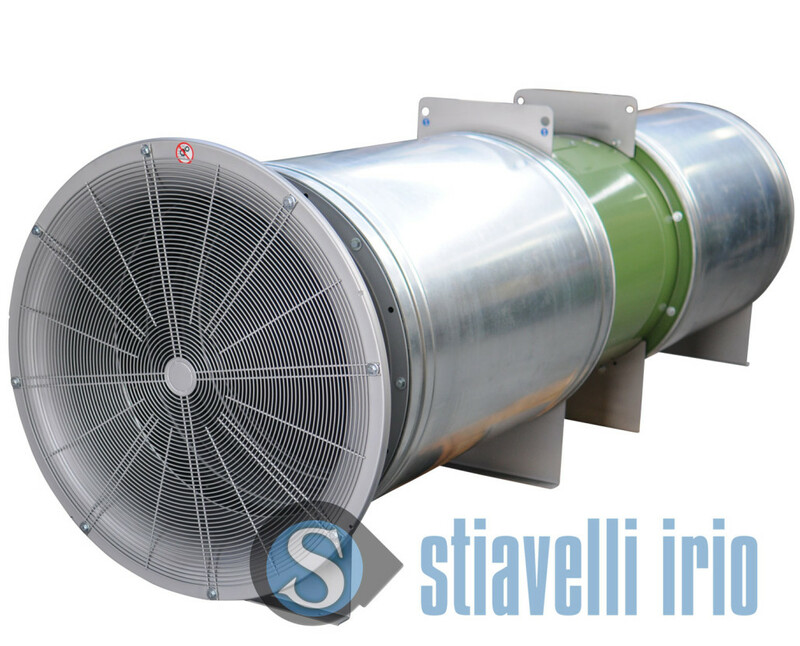 Axial fan employed to ventilate a gallery for marble extraction. Impeller with blades made of PPG (polypropylene), directly mounted on the electric motor shaft. 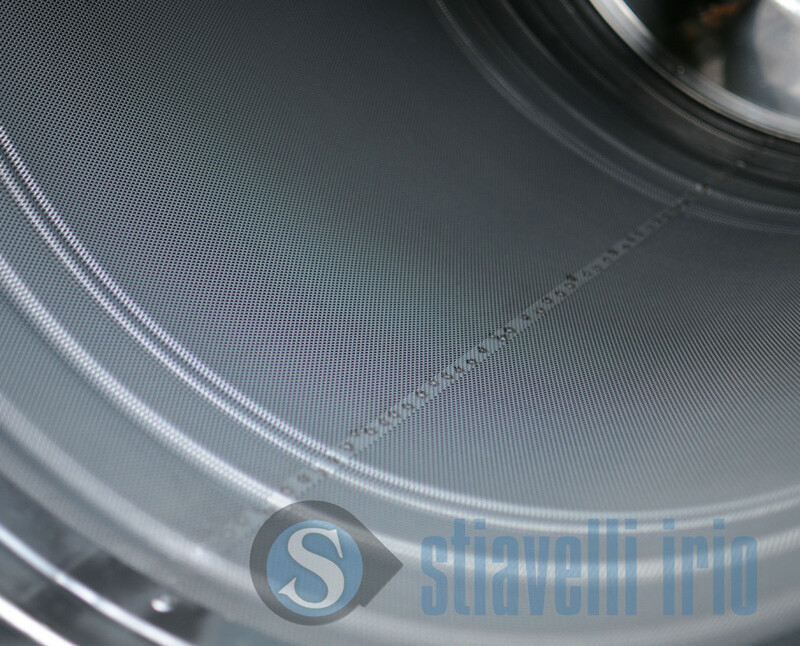 The drum was manufactured in carbon steel S235JR, while the impeller has PPG blades and aluminium hub. 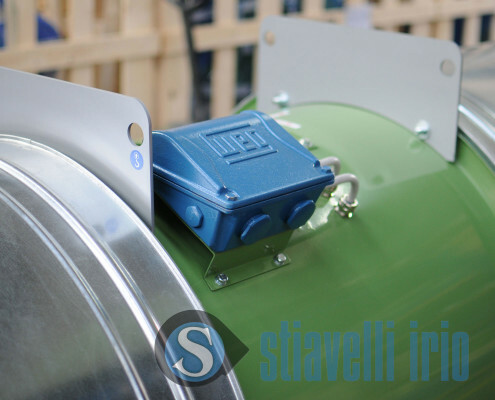 The highlights of this fan are: the terminal box, placed outside the drum, to facilitate the electrical connection of the motor to the control panel; the inlet and outlet silencers. 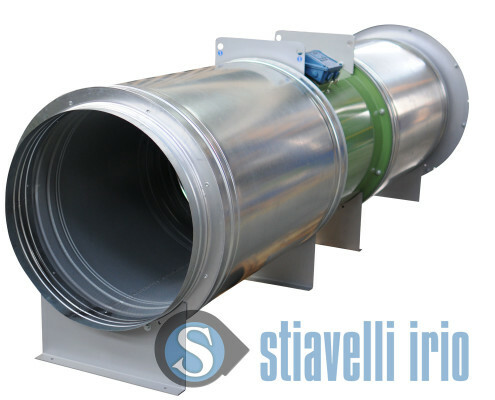 The customer required an air blowing system for a gallery for marble extraction, to ensure the necessary airflow: the fan is connected to a flexible pipe, 150 m long, to convey air into the gallery; two cylindrical silencers have beed installed to reduce the noise level of the fan. 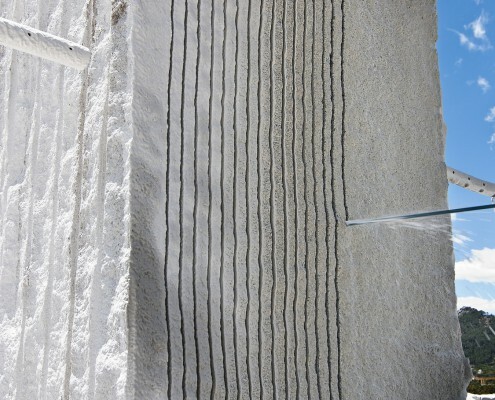 Extraction and finishing of marble, granite or stone polishing. Resin machines.